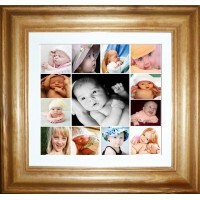 A Keepsake Creation - You take the prints using the kit we send you & return them to us to professionally finish and frame them for you. 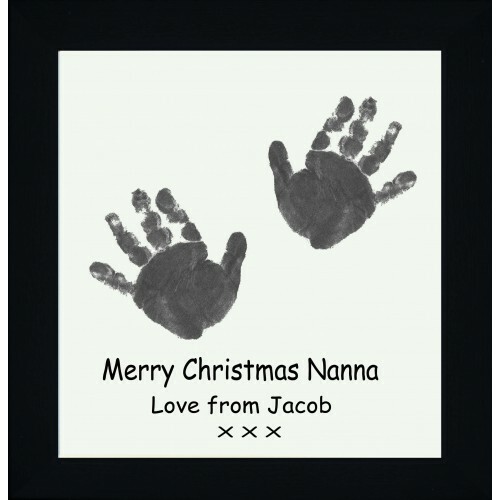 Personalised hand and foot prints, a beautiful way of capturing and displaying your baby hand and/or footprints, simply place your order and upload your prints or if you require a kit to take them, simply select this option and we will send you an inkless wipe kit for you to capture their hand and/or footprints, fill in all the details for us to add and send the prints and info back to us either by email or post, we will then be able to alter the colour of your prints, take out any smudges, fill in any missing digits and tidy them up to make them look fabulous, we can then add your personalised details and print them onto archive paper to ensure that they won't fade away, a perfect way to capture their prints, making a really lovely, professional baby keepsake. 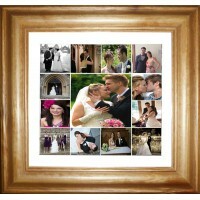 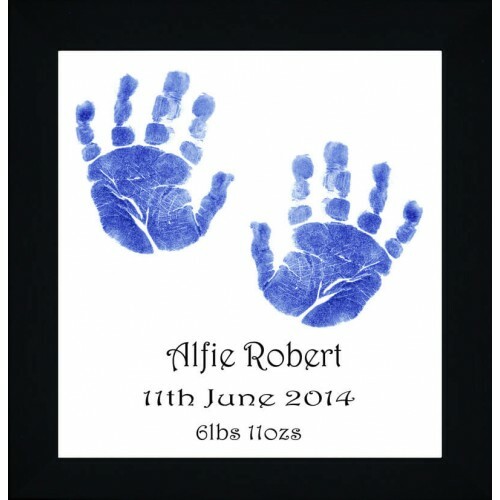 This service takes the strain away from you, knowing that you will still get a professionally finished keepsake for a fraction of the cost, simply by you taking the prints at home, the kit is really straightforward to use and as we can rectify any minor mistakes anyway, you can be sure of a fantastic finished baby hand and foot prints keepsake. 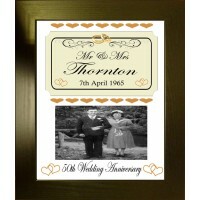 All your prints start off black, but we can change them to a variety of colours, each keepsake will vary slightly in shade depending on how dark the original prints are, but these photos give a good example of colour effects that can be achieved using our keepsake artists, we will produce the best quality finished keepsake piece we can for you.